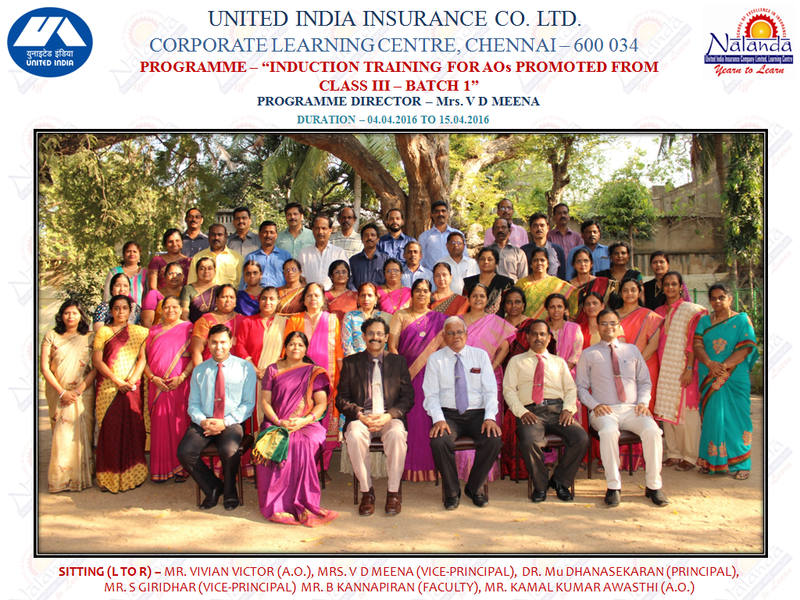 "CORPORATE LEARNING CENTRE - 'NALANDA' IS NOW ISO 9001:2008 CERTIFIED"
Congratulations to every United Indian! 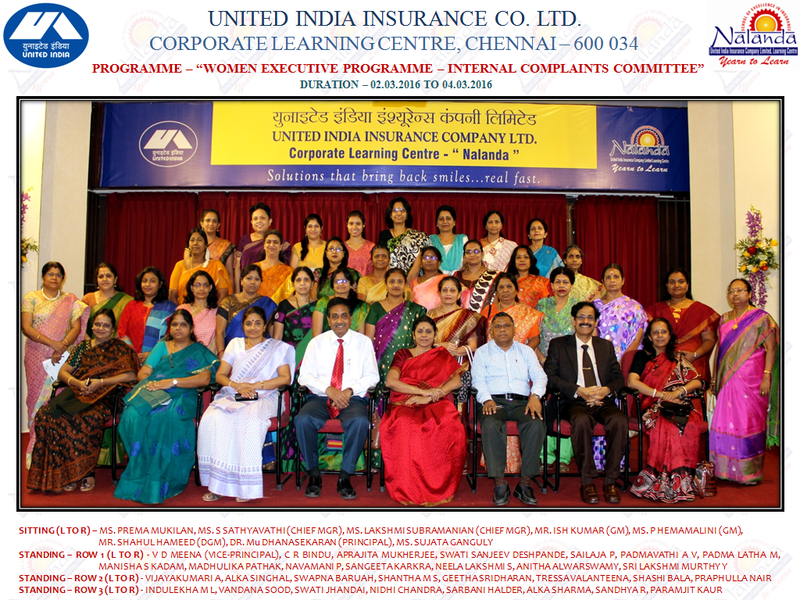 Re: Our Corporate Learning Centre gets ISO 9001:2008 recognition. 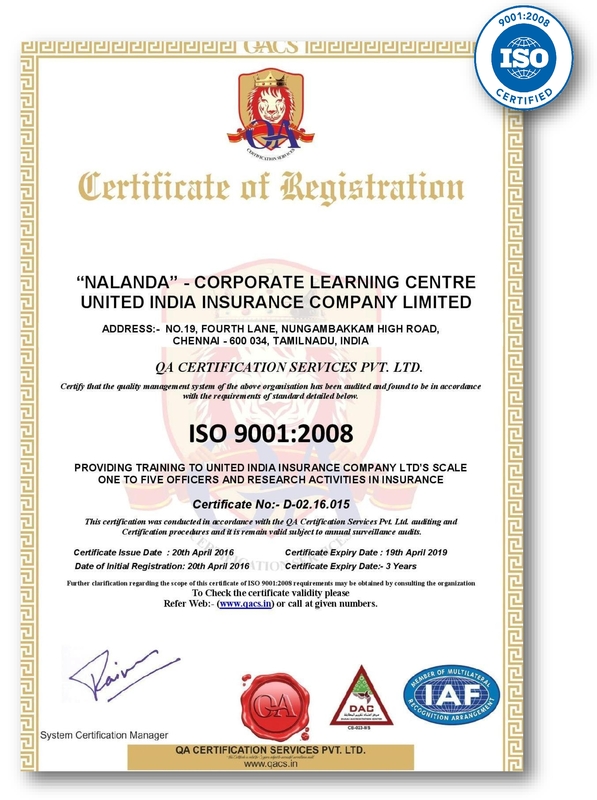 We, the team of NALANDA share our pleasure that Our Corporate Learning Centre got ISO 9001:2008 recognition, with a road map to ISO 9001:2015. While we thank Top Management, our CMD and GM (P) for their motivation, support and trust, we bring here to your attention the transformation that revolved to give a face lift to our CLC to get this prestigious recognition, after three stage audits. •	Activities involving Academics, Administration, Catering & Maintenance all have been structured and log recorded. Video surveillance camera installed. •	Created an exclusive website (www.uinalanda.com) and carrying on pan India support & online interactions to enrich every employee. •	A mini beautiful Art Gallery is created in the ground floor. •	All the class rooms have been updated with new interior and Digital Displays, Digital Library and online feedback system introduced. •	Prestige hall has been modernized as multipurpose hall – Mini Class Room/ Conference Room/ VIP Lunch Hall. •	Auditorium has been made the best, creating better stage, wide theater screen and a cozy atmosphere. •	Complete rejuvenation of our exterior garden with terracotta dolls, KOI fish pond, falls, fountain and serenity of love birds’ sound. •	Quite a lot of saving against expenses was made like, reducing diesel consumption, controlling water, electrical usage, creating water storage, wastage of stationery etc. •	Reception area given an ambiance of an academic institution as against a hotel atmosphere. •	Dining hall was modernized with new Air Conditioners, Branemary, dining chairs and VIP table. •	Renovation is on - Complete restoration of exterior and painting of the whole building. Trainees Rooms & Common Wash Rooms are being modernized. •	Resource Media for UI Faculty. We have ensured the learning process to be a truly stimulating and enjoyable experience. With all your good wishes! 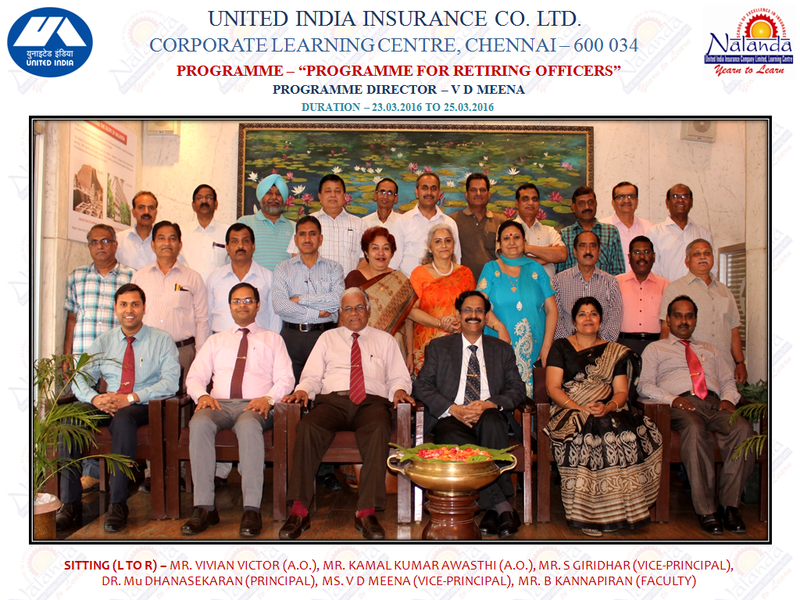 "INDUCTION TRAINING FOR AOs PROMOTED FROM CLASS III - BATCH I"
Click here to Download the photograph! "WOMEN EXECUTIVE PROGRAMME - INTERNAL COMPLAINTS COMMITTEE"